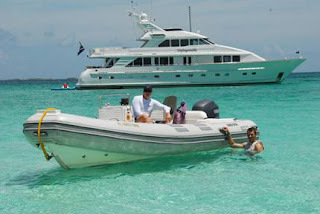 The 100-foot Inace motor yacht UNFORGETTABLE is available for a New Years charter out of St Thomas, USVI from as early as December 28, 2011. 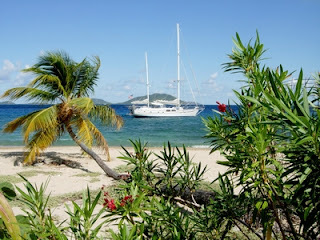 Looking for a nice, large yacht in the Virgin Islands for the holidays that can take up to 8 guests, a crew of three, offers DIVING, has an ondeck jacuzzi, and reasonable rates???? Stop your searching NOW. Contact Paradise Connections and say "We want to book IRIE!" 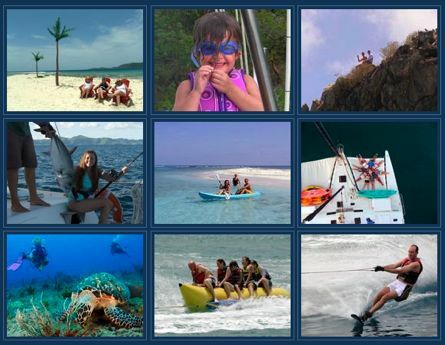 Fortunately for us, Irie's New Years charter had to cancel and now they are open for both Christmas and New Years. If you are the first to book one of these two holiday weeks you will have the added advantage to have more flexibility in dates and pickup point. Irie has a dive instructor and includes 12 dives/week for certified divers. So, if you would prefer building sandcastles rather than snowmen this holiday season, let us know! June 10-17 or July 7/8th-14/15, 2012. 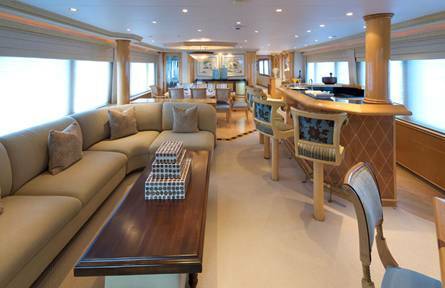 Promenade is a large yacht, and has many toys and amenities on board, which can keep everyone busy, but with only two crew, guests have to be willing to pitch in. The yacht will be fully provisioned and ready to go and includes all food, ship's bar, cook, fuel, water, on board water toys (except SCUBA diving), permits and cruising taxes. It does not include getting to and from the yacht (air and transfers), any meals you choose to have on shore, anything other then ship's standard bar, communications, dockage, SCUBA, and overnight air conditioning. 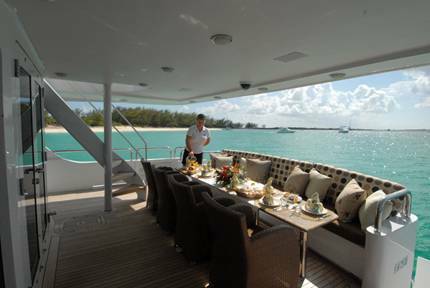 Promenade is a spacious 65-foot trimaran, with a beam of 35 feet, that accommodates up to 10 guests in 5 cabins. 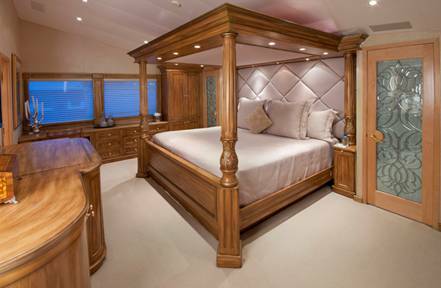 The two forward cabins have Queen berths and ensuite head/shower, while the 3 aft cabins (one Queen, and two cabins that can either be configured as Twins or a King) share 2 heads with showers. 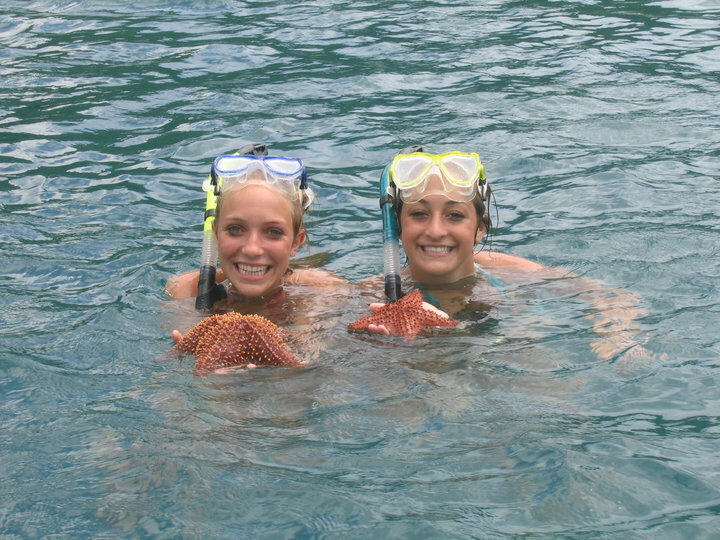 Promenade is an excellent choice for families or a group of friends, whether you dive or not, as there's plenty of things to do. "Will the kids get bored?" you ask... NO WAY! There's lots of things to do aboard Promenade: diving, snorkeling, kayaking, waterskiing, fishing, kneeboard, tubing, banana riding, "power lounger", DVD, hiking, beachcombing, listening to tunes, or just chilling out... PLUS, ask nicely and Kerry might just share some homemade ice cream with you :) Her Kaluha & Bailey's Cheesecake sure looks tasty! So, which week will it be... January or June? Don't wait too long! Promenade is also available for NEXT Christmas (2012) and New Years. Again... you snooze, you lose. 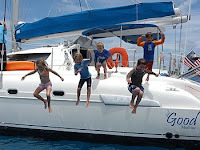 The holiday weeks for this year booked very early as they are a fun boat, quite affordable, and there are not many boats that can charter up to 10-12 guests. from Amazon for only $0.89. 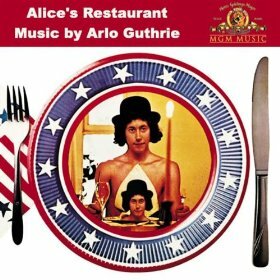 Good deal for a 15:52 song! Antillean is an owner-operated 50-foot Beneteau sloop. John Gould (British) is captain and Heidi Wheeler (American) is the chef/mate. 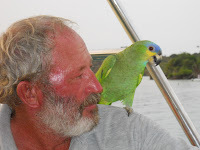 Mr. Smee is the well-behaved, and much loved ship's parrot. 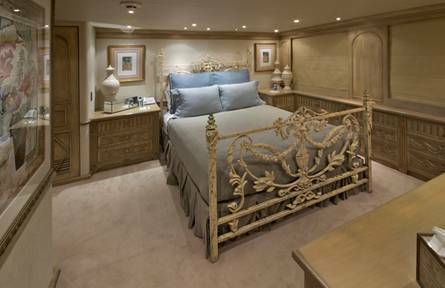 Antillean accommodates up to six guests in three cabins (2 Queens, 1 Double) each with ensuite heads/showers. They have a 12-foot dinghy with 30HP motor, tube, kayak, fishing gear, snorkelling equipment, 20" Flat screen TV with DVD in the salon, floating mats, noodles, etc. 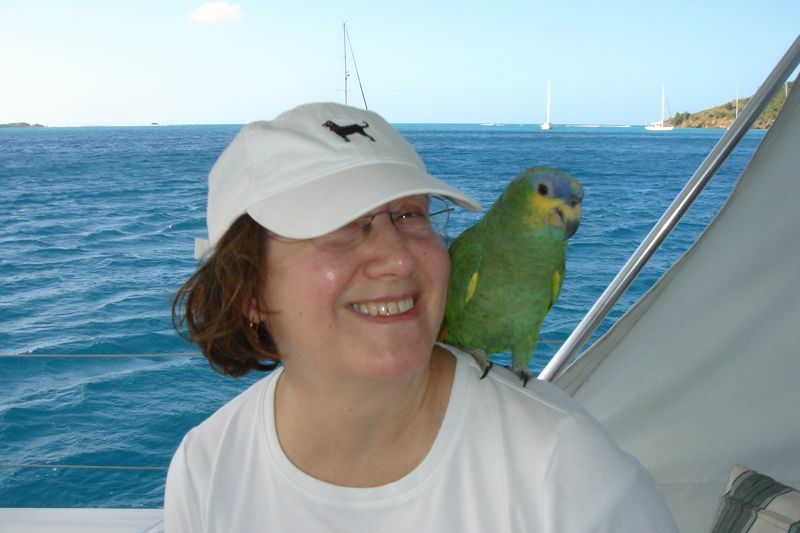 Here's a previous post with comments from happy clients we had aboard Antillean. 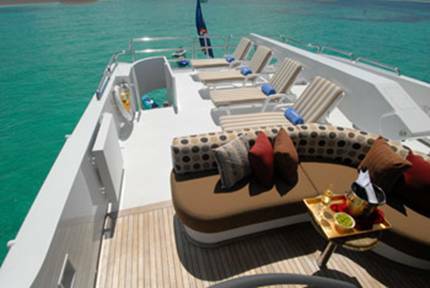 The charter yacht LEGACY, a 65-foot catamaran in Belize, has a special 8-nights-for-the-price-of-7 special offer for New Years. 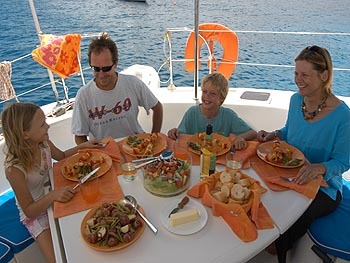 Legacy has a crew of five and accommodates up to 12 guests. 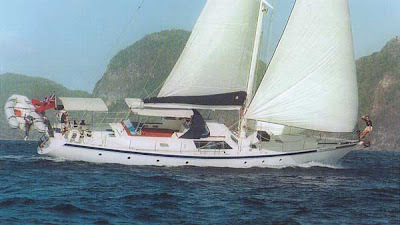 She is air conditioned and has four double cabins and two cabins with two singles. 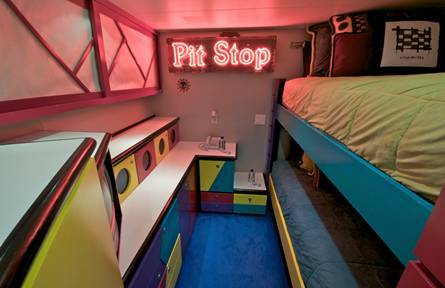 Each cabin has their own sink and there are two shared heads/showers for the guests, accessible from the cockpit. 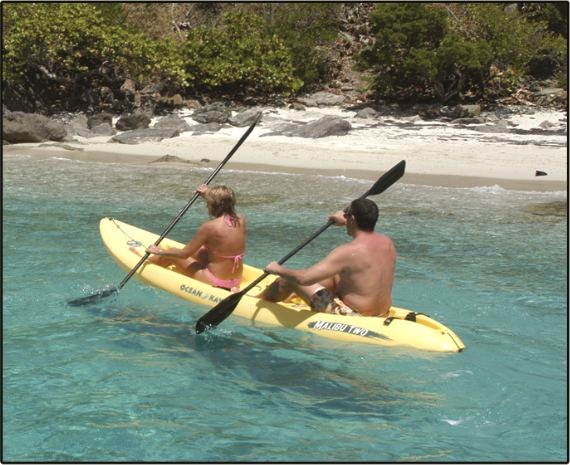 Legacy has two dinghies, kayaks, hammocks, snorkel gear, fishing equipment, floating mats, toys & waterskis for kids, TV/DVD, etc. 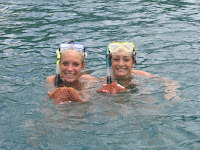 AVAILABILITY: New Years charter beginning December 31, 2011 in Belize City. Wouldn't this be a fun way to start the new year? 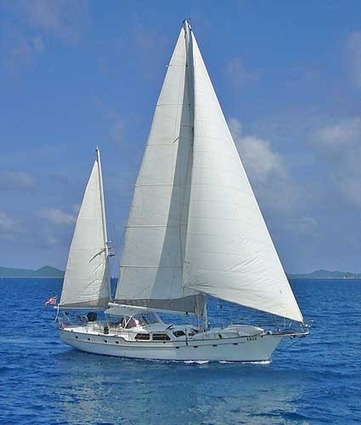 Charter Makayabella, a 62-foot sloop, for the 2012 Bequia Blues Festival. 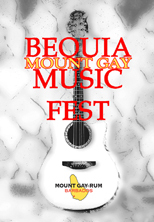 Book MAKAYABELLA for this year's Bequia Mount Gay Music Festival (January 26-29, 2012) and they will provide complimentary tickets to both the Friday and Saturday night shows!! Outstanding performances by local, regional and international artists has made this music festival one of the “must see” fixtures on the season’s calendar. Based around Dana Gillespie and her London Blues Band’s “One Night Only” performance on Friday night, this event, now extended on Bequia to four days, has been receiving increasingly rave reviews since its conception and is a foretaste of the Mustique Blues Festival which continues for a further two weeks. The main venue is at De Reef, right on the beach in Lower Bay, Bequia, with the big performances on Friday and Saturday night followed by lazy Sunday afternoon “limin’” music to finish off the weekend. Makayabella has taken guests to this event for the last few years and everyone (guests & crew alike) have really enjoyed it. 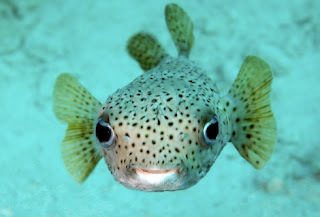 They feel it is a great event and very much worth promoting as a focal point of a charter in the Grenadines. 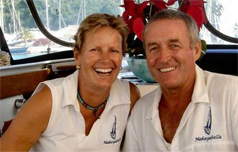 Charter yacht MAKAYABELLA is a 65-foot Naval Chantier sloop, owned & operated by the British couple of John Nicholson & Susan Bruce. 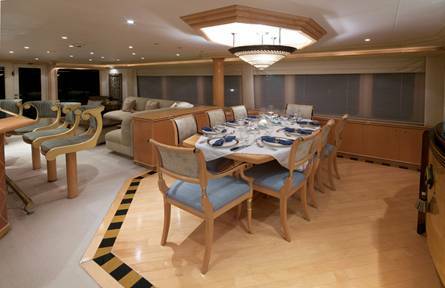 While having four guest cabins, Makayabella limits charter groups to a maximum of six guests (choose 3 of the 4). All guest cabins have private, ensuite heads. 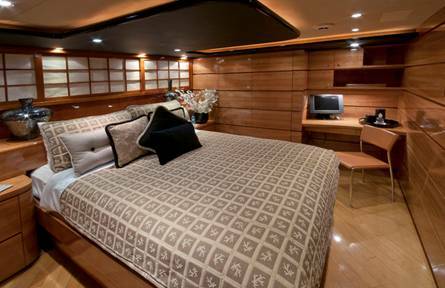 Two cabins have double berths, while the other two guest cabins have twin bunks (upper/lower). View previous posts about Makayabella. View their eBrochure. 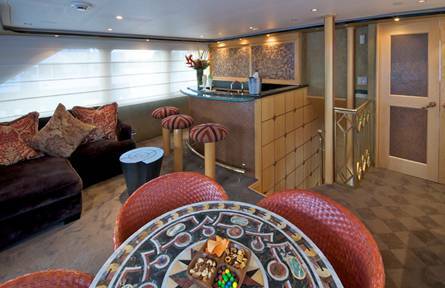 This sounds perfect for a music loving group of up to six guests aboard Makayabella. The charter can either start with the festival or end with it. 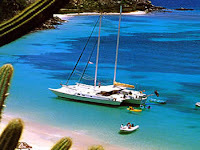 Makayabella suggests flights be booked either into St Vincent or Canouan or via Barbados (local flights available into St Vincent or directly into Bequia). 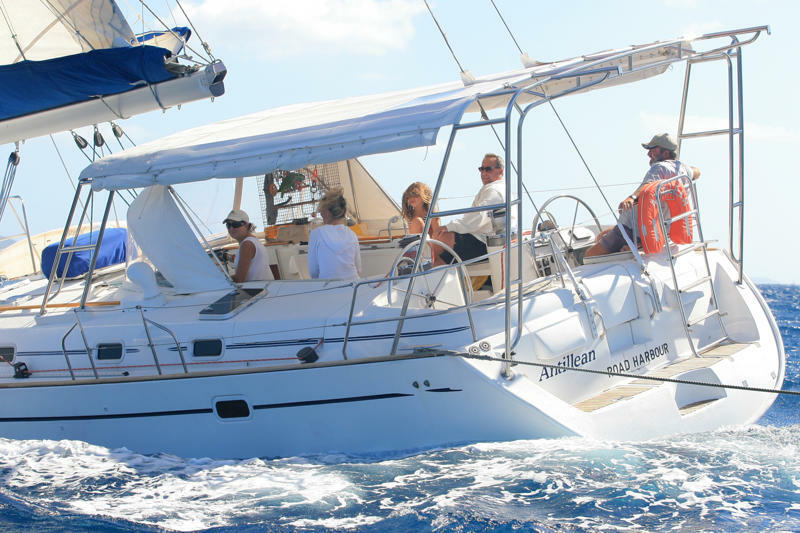 For a group of more than four people, it can be cheaper – and much more convenient – to charter a plane privately from Barbados! Visit www.svgair.com for more details. The catamaran Good Medicine is offering 5-night, By-The-Cabin CME cruises for the 2012 season. 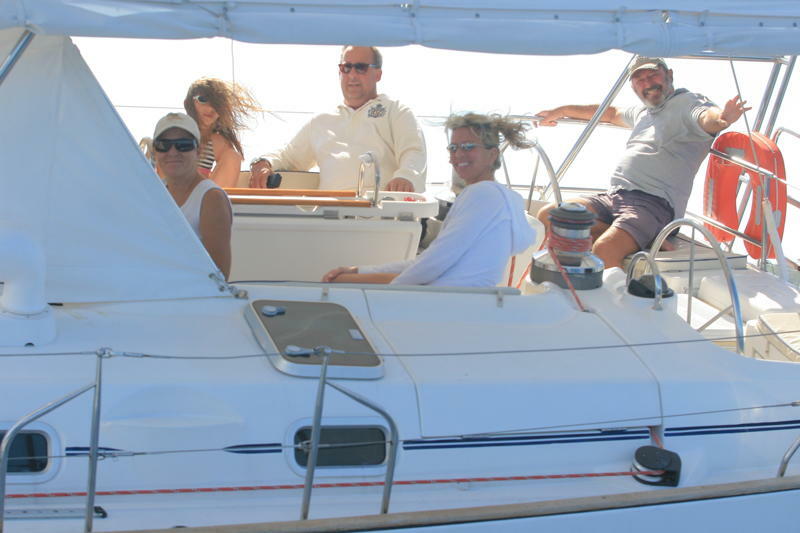 These cabin cruises are also open to "normal" non-physician clients, not taking the CME course. 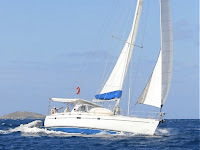 Charter Yacht FREEDOM available for NEW YEARS!